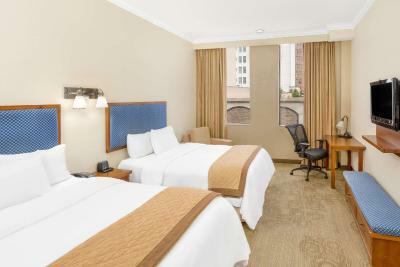 Lock in a great price for Wyndham Garden Baronne Plaza – rated 8.1 by recent guests! It was a simple nice hotel. Nothing was out of the ordinary with hotel. 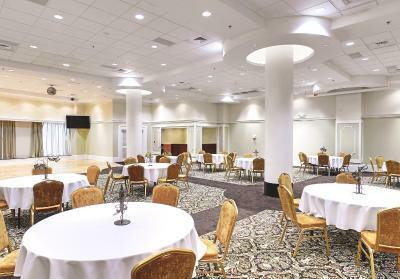 The location is very close to Bourbon street and other tourists attractions. Monique at front desk was so helpful and pleasant. Our room was very spacious. The bathroom was large and very nice. It had a huge shower and jacuzzi tub. The room offered 2 TVs and a fridge. It was clean and smelled good! Perfect location! I was traveling alone, so safety was a huge concern of mine. I felt very safe wandering around the immediate area and walking back to my room late. It is super close to the French Quarter. I was there for a week and I never used my rental car once! There is a bar/restaurant in the hotel and a little breakfast cafe that opens at 6:30 am. Also, I loved the art deco style of the building. The hotel is clean and just nice overall. Staff was awesome! I would absolutely stay here again! Loved our stay. Requested an outside facing room with window and were fortunate to get one. Though the interior rooms would have been fine. Cheryl, our housekeeper, was terrific. 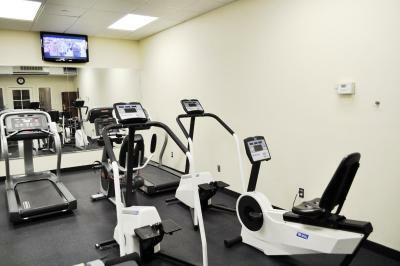 Beds were comfortable (very important), wifi OK, fitness room small but adequate since no one was ever there. 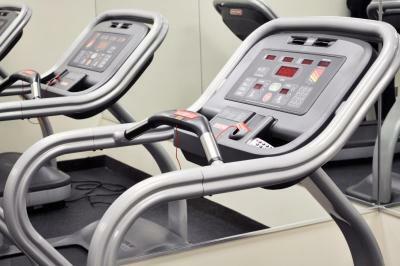 Treadmill was broken first day but got repaired when it was reported. GREAT location. Close to trolley stops ($3 day pass is a great deal! 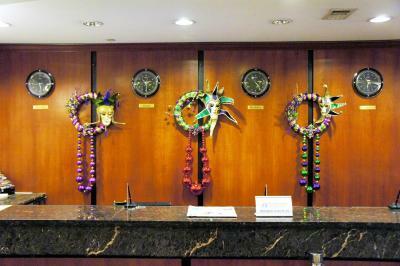 ), Bourbon St/French Quarter., Deannie's restaurant and other walkable to Starbuck's, Daisy Dukes (breakfast!). Morning 'cafe' not really worthwhile, but Daisy Dukes Restaurant made up for it. Bike rentals right outside and food of all sorts nearby. Stayed 5 days. Location pretty quiet. Only occasionally had loud next room neighbors. Staff always helpful and accommodating. Felt it was a good value! no breakfast....restaurant in Hotel not up to par. Staff very, very helpful with travel and activities. The lobby was nice. Some of the staff were professional and pleasant. Everything was great! Clean, safe and comfortable. 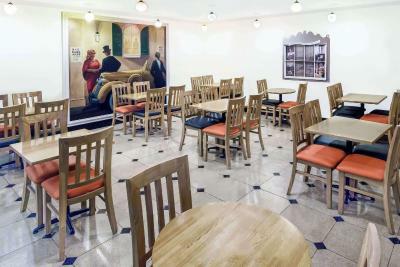 Wyndham Garden Baronne Plaza This rating is a reflection of how the property compares to the industry standard when it comes to price, facilities and services available. It's based on a self-evaluation by the property. Use this rating to help choose your stay! One of our best sellers in New Orleans! 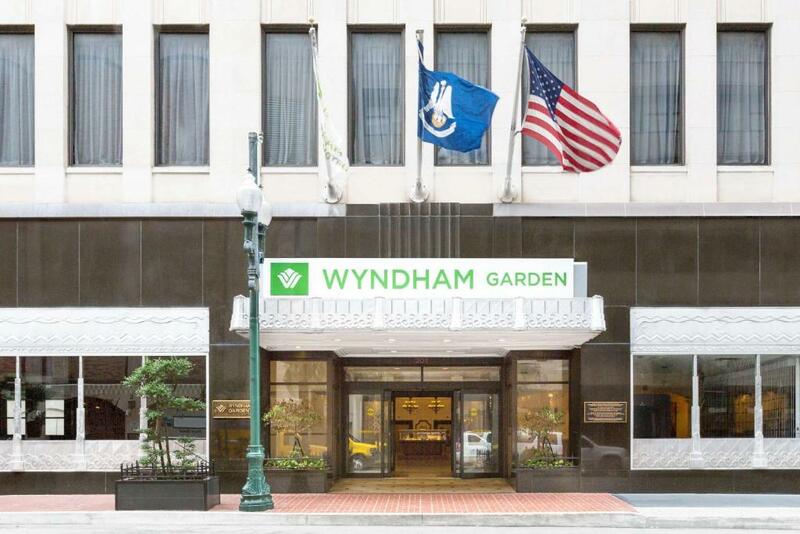 Located in the Historic Lower Central Business District, Wyndham Garden Baronne Plaza was constructed in 1931 and features the original Art Deco stone and granite facade. 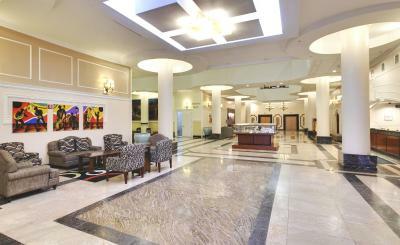 The elegant lobby features the original marble floors, columns, and stained glass skylights. 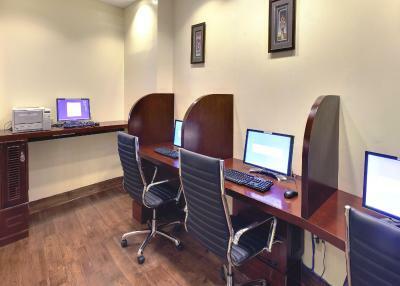 Rooms at this hotel are equipped with a flat-screen TV, work desk, seating area and complimentary toiletries. 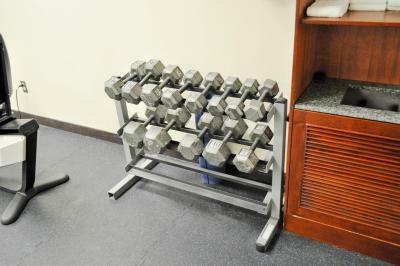 A 24-hour front desk, valet parking, fitness center and complimentary WiFi are offered at this hotel. PJ's Cafe serves fresh coffee and pastries each morning. 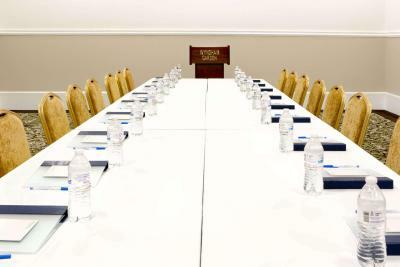 Business guests will enjoy amenities such as a business center, same-day dry cleaning and meeting facilities. A ticket and tour desk is available for guests to explore the city. 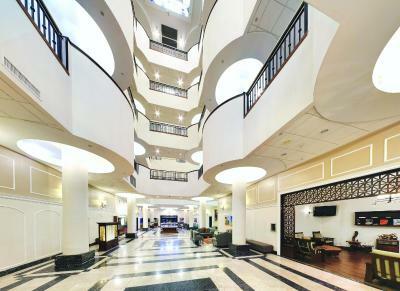 Only one block from Canal Street and the French Quarter, Baronne Plaza offers convenient access to New Orleans' most visited landmarks, including French Market, The Riverwalk Outlet, New Orleans Convention Center, Riverfront Streetcar Line, Aquarium of the Americas, The Mississippi River, and the Super Dome. 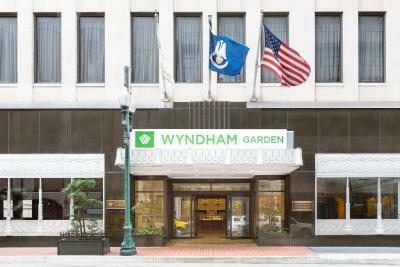 When would you like to stay at Wyndham Garden Baronne Plaza? This interior window room features a flat-screen TV, safe, and tea and coffee-making facilities. 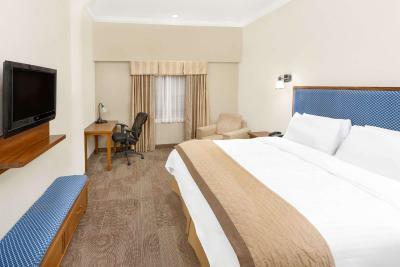 This room features a flat-screen TV, a safe, and tea and coffee-making facilities. Room features a flat-screen TV, a safe, and tea and coffee-making facilities. Maximum occupancy is 3 guests. Room features a flat-screen TV, a safe, and tea and coffee-making facilities. Maximum occupancy is 4 guests. 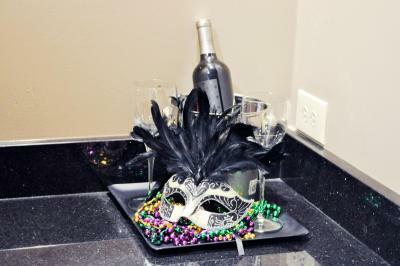 House Rules Wyndham Garden Baronne Plaza takes special requests – add in the next step! Wyndham Garden Baronne Plaza accepts these cards and reserves the right to temporarily hold an amount prior to arrival. Please note: the cardholder of the credit card used to make the reservation must be present at check in, otherwise a third party authorization form is necessary. Please note: the hotel requires a USD credit card hold at check-in time for incidentals. I didn't like how much it cost. However we booked the hotel a week before the event so that was our fault. Rooms faced inside with no outside windows. No dresser to unpack clothes. 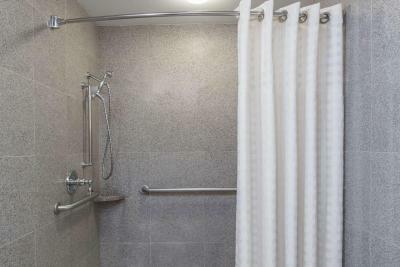 Very clean,great location and friendly! The Tv did not work properly, the bed and pillows were very unconfortable. the service in the restaurant was very slow and we were the only customers. When my husband and I arrived to the hotel, the receptionist could not locate our booking despite the fact that we communicated with both the hotel and booking.com. prior our trip that we would be arriving one day late (this communication has been extensive and documented particularly on booking.com site) and we also arranged an extension of our stay for two additional nights. This was done and confirmed with the receptionist at the hotel with assurance that the note will be put on our booking. After lengthy discussion we were told that our booking was cancelled because we didn't show up the day of our original booking and there was no note on the booking?!! Eventually the receptionist did provide the room, but only a Double and not the King size we had booked. In summary while we enjoyed our stay in New Orleans the hassle upon arrival after long and tiresome journey was the last thing we wanted or expected. 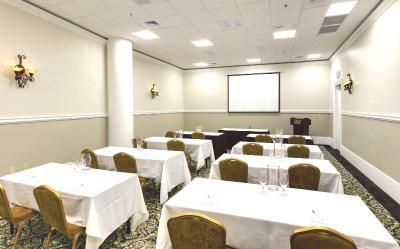 The location, just one block from Canal street / French Quarter. Room service was not consistently good. Left used glasses and did not replenish items. 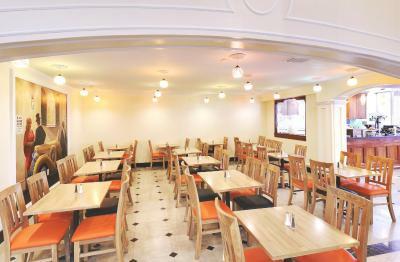 Location, staff and quiet atmosphere. The service was horrible. Had to leave notes asking for room to be cleaned and twice after 3pm room wasn't cleaned and had to call for house keeping. The manager Candice was very rude. We were shocked to find out that on top of our booking price, there was also a $34 per night parking fee. Upon arrival the hotel seemed very nice and well kept. However, that impression did not go past the lobby. We were less than satisfied with the status of our room, visible patch jobs in multiple places on the ceiling. There was visible bodily fluid dried on the side of the bedskirt. Very disgusting to find in a “clean room”. But shockingly, the most disturbing part of the entire stay would have to be the 3” opening at the bottom of our doorway for any pervert to easily peer into. This was a surprise trip for our children to the Audubon Zoo for spring break but we felt the zoo was more clean than this facility. I do not recommend spending your money on this hotel. The bathroom smells of mildew and there’s no vent in the bathroom. Toilet was dirty. When you sit in the bath you can see the rim of the toilet and it was HORRIBLE! Had a misunderstanding with the total price of my stay. I must say a particular member of staff was accommodating in getting it resolved by providing alternate options. I bought my breakfast. The location is conveniently located.